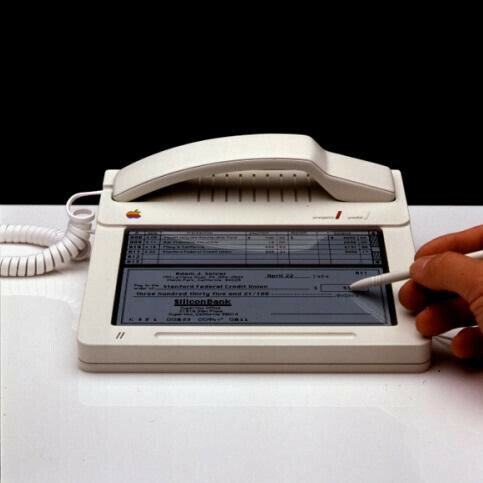 Curious how the iPhone would have looked like in 1983? Apple turns out to have indeed been working on a touchscreen device back then as an early prototype dating back to nearly 30 years ago was found. 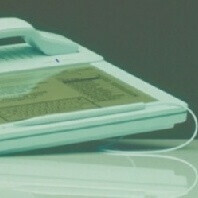 Designer Hartmut Esslinger stood behind the design, but it seems he was ahead of his time. Esslinger was then hired with a million dollar contract and tasked to craft a unique design strategy to bring Apple from just another Silicon Valley start-up into the global brand that it is today. He later created the "Snow White design language" the company is famous for even today, but back then it was implemented on the Apple II and the Macintosh computer. Sure, the prototype you’re seeing on the picture is a landline rather than a mobile phone, but nonetheless it’s revealing that such a technology was imagined back then. Sadly, except for the picture we have no more details about what features would the device have. Interestingly it also comes with a stylus, something Steve Jobs condemned in the iPhone and future iOS devices. Ladies and gentlemen what you are now looking at it is the Iphone 5...........!! Obviously they could've further devolepped this prototype. But they'd chose 2007 as a good year people were ready for this kind of devices. And it worked, I guess. That would have been WAY ahead of its time and would have failed miserably. Just think if that type of technology had caught on 28 years ago. Where would we be now? i wonder if it took to long to patent it that is why it never made it to market? does it have siri? or the WOPPR? "do you want to play a game" hahaha apple sux. when it costs about 4 grand for a computer with that tech.. its no toy. You are a tarded chickenhead. Just thought I'd remind u. Is this ipad 2s......??? The trimmed down, and low cost version of ipad2 to compete with Kindle Fire........ !!!!! wow, so apple is the inventor of all things cool. Thanks iphonearena! You just had to let us know. Cute article. But interested we're you got your info. Looking the picture. Looks like they were testing a device that can send e-checks and any other data via through its phone service like a fax machine. And ths product was an all in one product that can be a phone or data data transfered device that all went through your phone line. Not having anything to do with an iphone concept. You wouldnt say old egypt was working on the US dollar bill cause they built pyramids. But had a different purpose. Yes, ill give you that the iphone and the all in one product have more similarities. But from the picture I see that this product was an all in one concept that never was inproduction because of the lack of it being a good idea. So, just curious, did you find the pictures on google and decided to formulate your own ideasor do you actually have actual info?? But they never invented the touch screen. And of course google was working with theirs in 1982, right fandroids? lol. Google didn't exist until 1998.